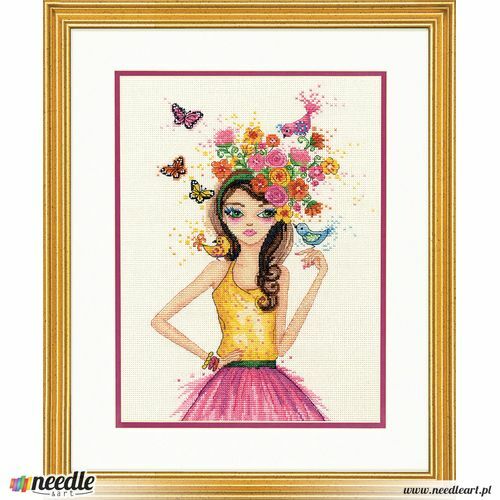 Spring is definitely in the air in this contemporary counted cross stitch design! 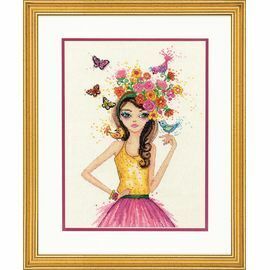 Spring Time by Dimensions features a lovely brunette surrounded by birds, blooms, and butterflies. Finished size: 9" x 12". © 2018 Bella Pilar, all rights reserved. Kit contains presorted thread, 14 count ivory Aida, needle, and instructions.